We are very habituated with internet explorer. But it is very interesting and some sort of bad feeling to imagine our desktop without internet explorer. Coming to the point Microsoft is going to replace internet explorer with there up coming web browser. 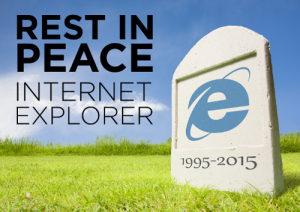 So Microsoft going to put a full stop to Internet Explorer. 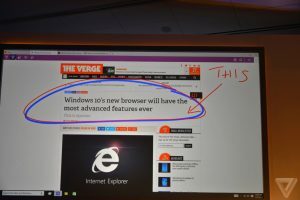 Recently at Microsoft Convergence conference, the company’s marketing chief announced that soon they are going to replace internet explorer with new web browser. Currently codenamed as Project Spartan. Microsoft still did not came to a conclusion on the name of there new web browser. It was expected to launch at the end of this year with Windows 10.